Most people don’t know this person. But most have watched his creation in childhood. 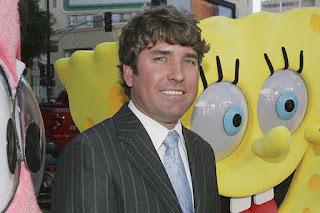 He is Stephen McDannell Hillenburg. He is an animator, writer, producer, actor, voice actor, and director of the United States is most known for making animated series SpongeBob SquarePants. It has gone on to become one of the longest-running American television series as well as the highest-rated show ever to air on Nickelodeon. He was born on August 21, 1961 in the United States. Currently he has his own production company named United Plankton Pictures. In 1984 Hillenburg can be a degree in the planning and interpretation of natural resources, the pressures on the marine resources on Humboldt State University. 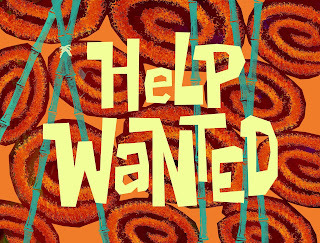 In 1992, he received a Master of Fine Arts degree in experimental animation from the Art Institute of California. Hillenburg became professor of marine biology in Orange County Ocean Institute. 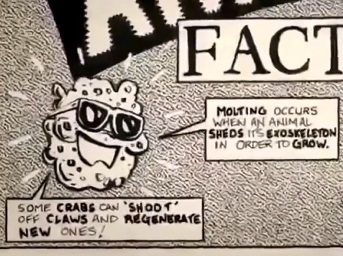 He worked as a marine biologist from 1984-1987. In 1987, Hillenburg decided a career in the animation, a second passion for life. He made several short films, two of which are given and played in the international animated film festival. Two short films The Green Beret (1991) and Wormholes (1992) became popular in several film festivals. In 1989 at the Art Institute of California, Hillenburg wrote a comic book titled "The Intertidal Zone" about these creatures of the sea. Comic "held" by the sponge, Hillenburg initially drew as a natural sponge but the sponge is converted into a box because it looks funny. 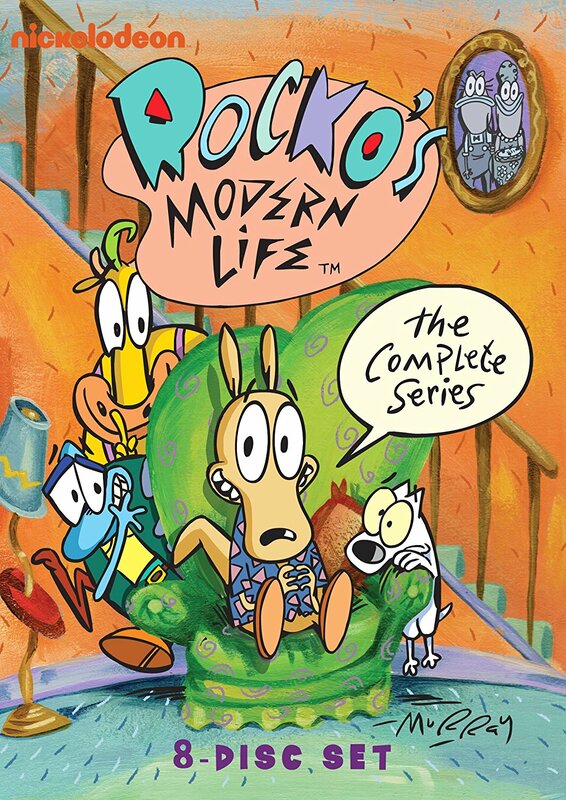 He showed it to Martin Olson, a friend and comedy writer who worked on Rocko's Modern Life. Olson loved it and suggested Hillenburg wrote cartoon series that is under the sea. 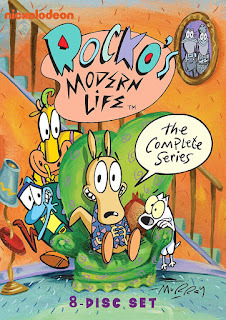 When Rocko's Modern Life ended in 1996, Hillenburg began developing the concept, and in 1997 he collaborated with several former colleagues at "Rocko" to design the background of events and characters. 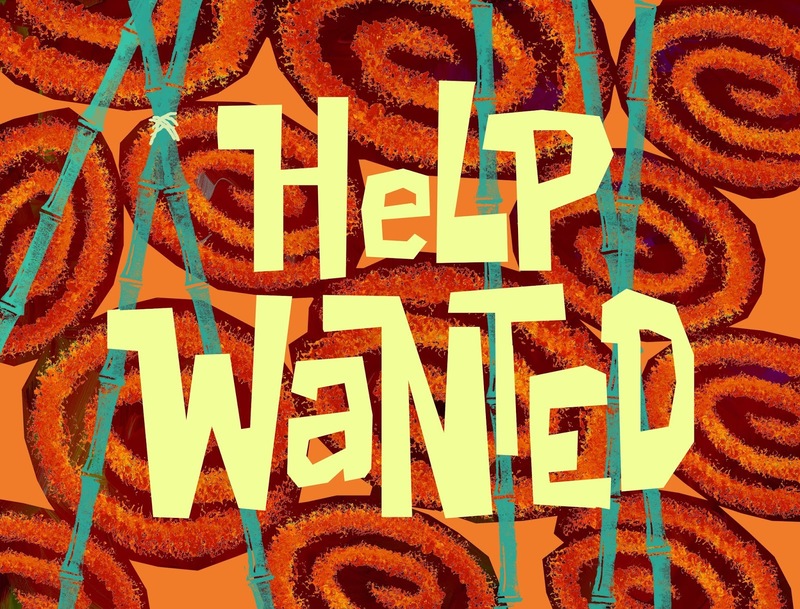 In 1998, Hillenburg pitched the show to Nickelodeon, use an aquarium, model characters, the theme song and the storyboard will be the pilot episode, "Help Wanted". 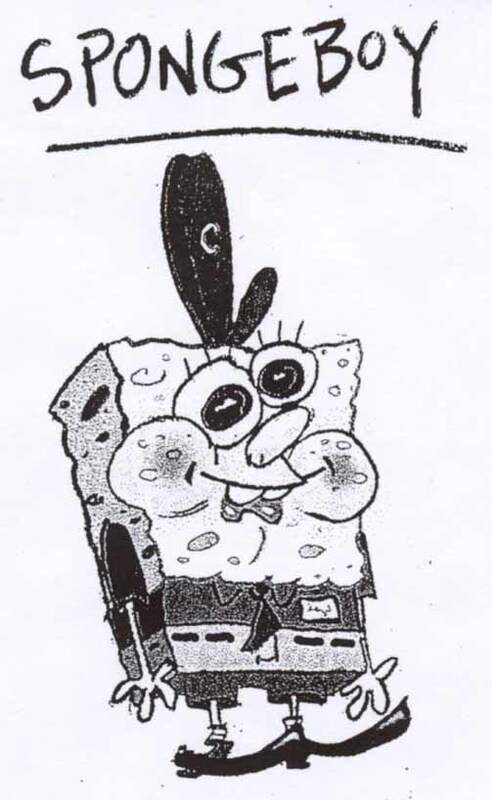 The main character's name originally was "Sponge, the Boy", but because the name was copyrighted, he turned it into SpongeBob. 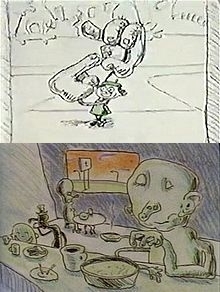 Hillenburg uses some concepts that have been created for Rocko's Modern Life, SpongeBob. For example, he uses live action footage of short excerpts. Nickelodeon executives bought the field and the series began on May 1, 1999, and following episodes began airing on July 17, 1999.